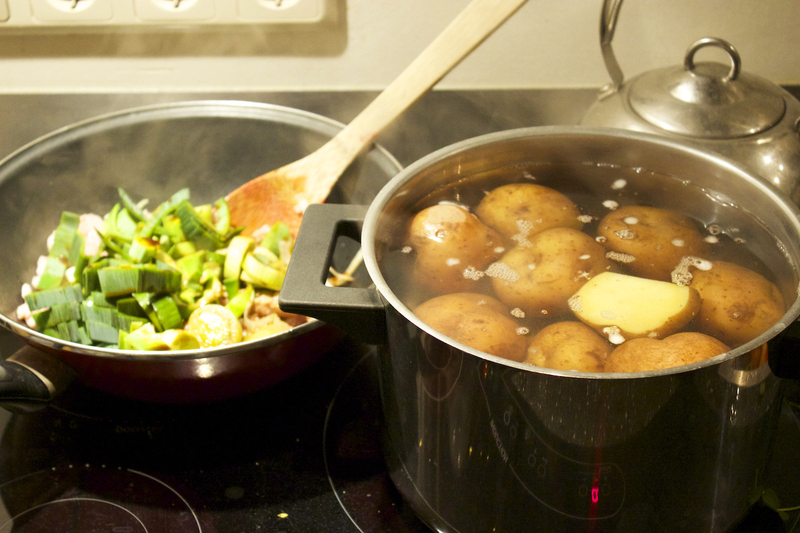 I’ve been in Holland for five years, and I think I’ve finally managed to crack the perfect Thanksgiving recipe. No, I am not referring to a delicious Betty Crocker stuffing, or Martha’s expert mashed potatoes. I’m talking about the overall hosting of a detailed dinner, on a work night, in a country that doesn’t recognize one of the fattest and most elaborate food holidays of all. 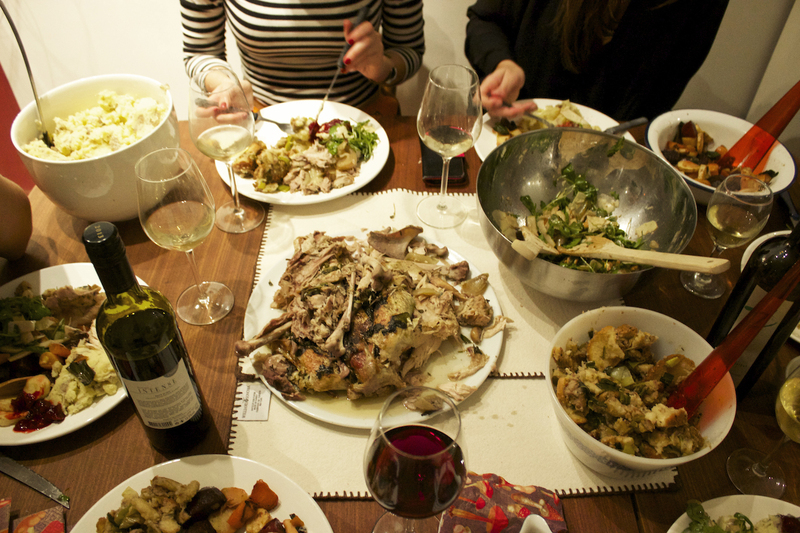 So how does one prepare a Thanksgiving feast for eight on a ten hour work day? Want to know the magic recipe? You will need: one slow cooker, a dash of determination, a local butcher, three nights at the grocery store, four cups of wine, one slightly chopped work agenda, and eight amazing friends. 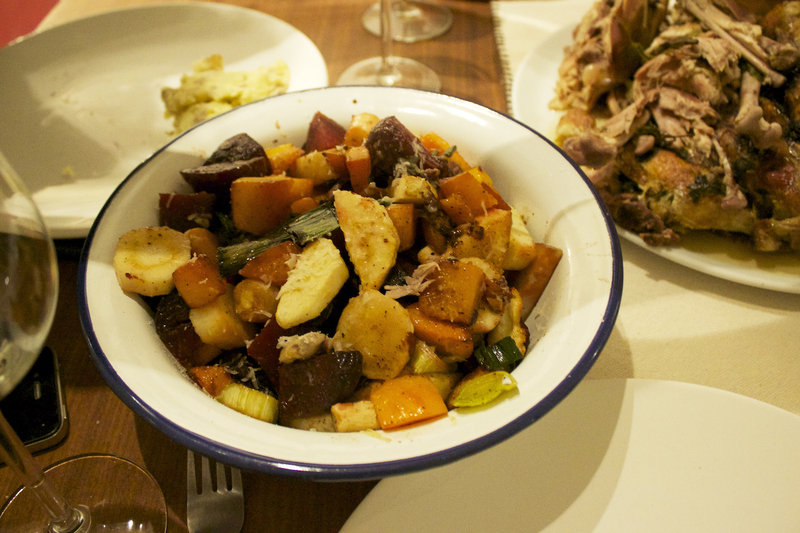 The key ingredient to a successful work-day Thanksgiving feast is the slow cooker. Before work, I stuff my slow cooker with fresh sage, thyme, oregano, rosemary, onions, garlic, organic broth cubes, and butter. 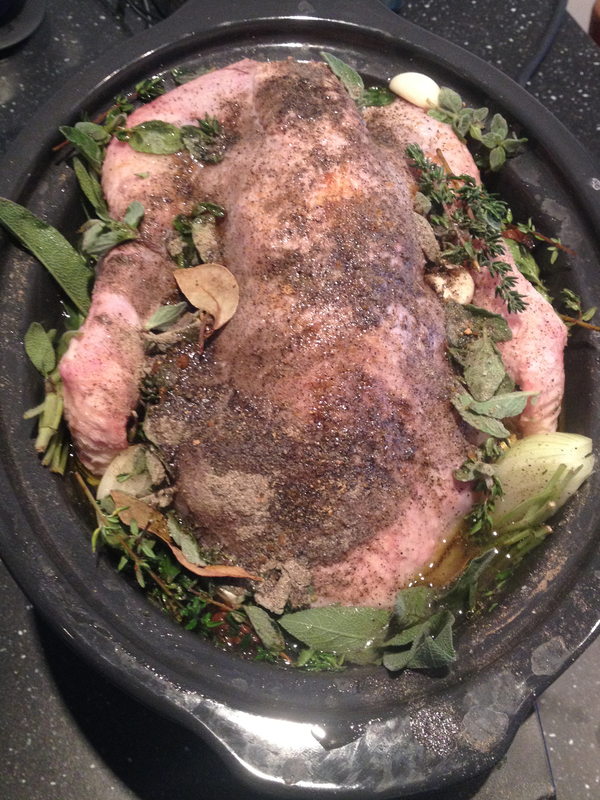 I then tetris a turkey inside, smothering it with olive oil, salt, pepper, and one final top-up of herbs. I jam the lid on (sometimes it’s left floating a bit in the air), set the slow cooker on low, and bike off to work. Fast forward ten hours and I am walking through the door to the most heavenly scent ever. An aromatic Thanksgiving volcano has erupted in my apartment and I have to refrain from digging a fork directly into the slow cooker and snacking what can only be described as pulled-turkey. So what if it falls into a heap of bones, skin, and tender meat when you pull it out of the slow cooker? 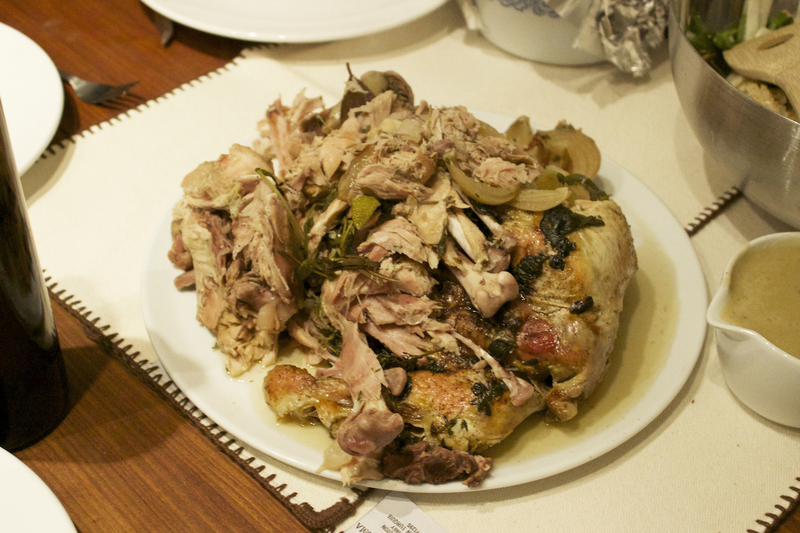 It is literally the best tasting turkey I have ever had, and this method has worked year after year. 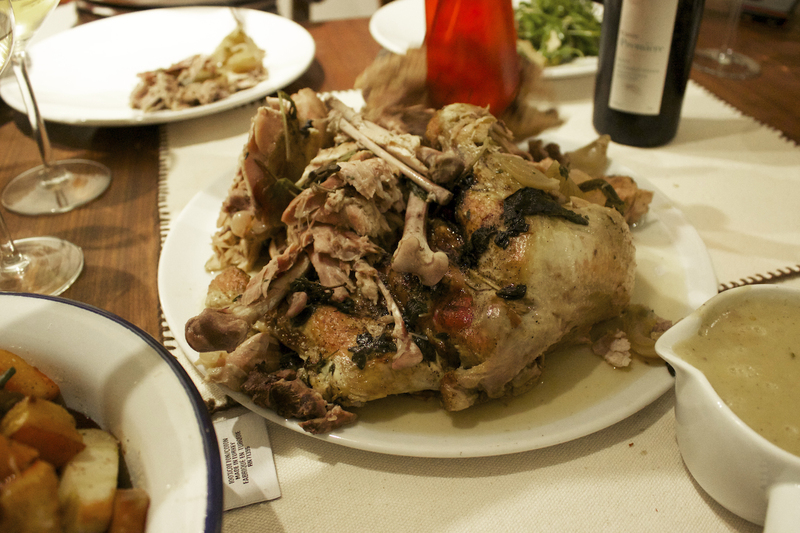 OK, now that I’ve told you my big expat Thanksgiving secret, I’m going to tell you the slightly less fun part. There’s still the roasted vegetables, garlic mashed potatoes, sausage and sage stuffing, gravy, and citrus cranberry sauce to be made, and I’m not one to cook something from a box. 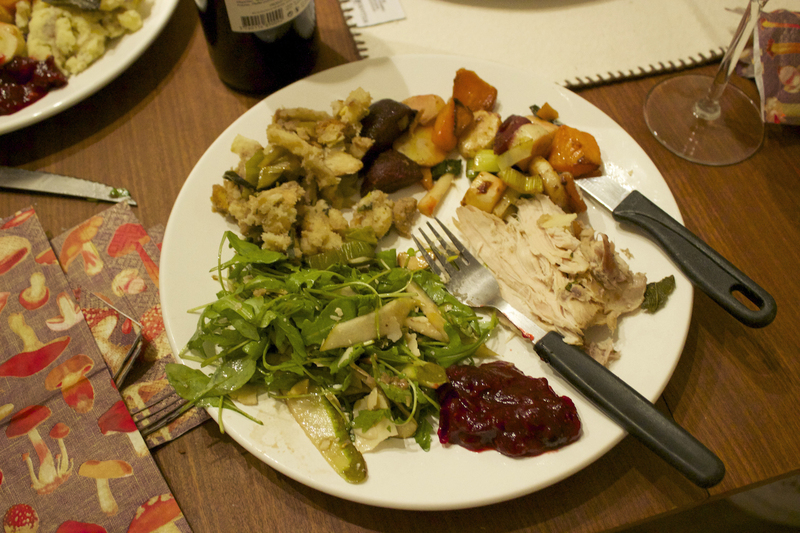 Luckily, I have some awesome friends who agreed to bring copious amounts of wine, pie, and green things to dinner. So I was left to focus on the basics, which I managed to whip up in less than an hour (and approximately two bricks of cheese and three bottles of wine later). 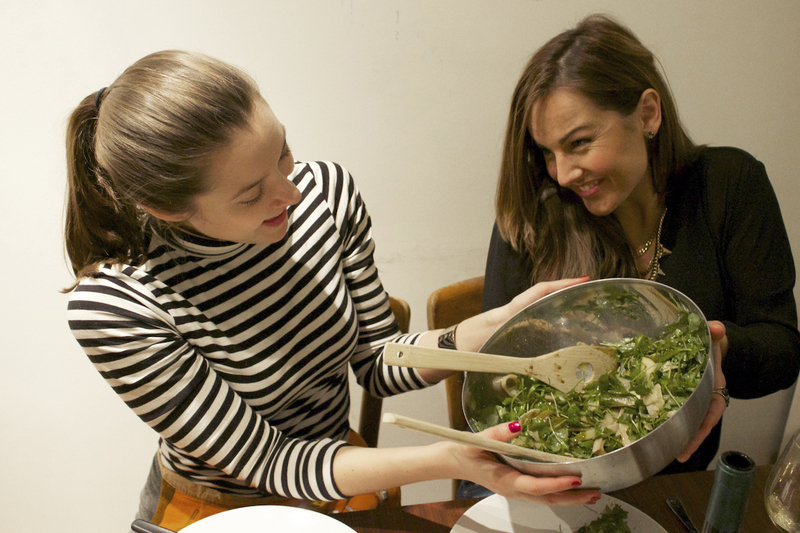 The resulting feast was shared at a table of friends from around the world. 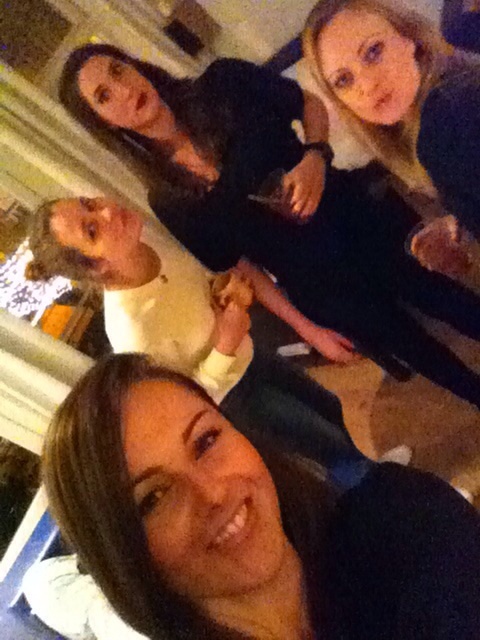 Dutch friends, British friends, Australian friends, and even a fellow American. Speaking of my lovely fellow American friend Katherine, she took all of the photos in this post (notice how I’m actually in some of them!) 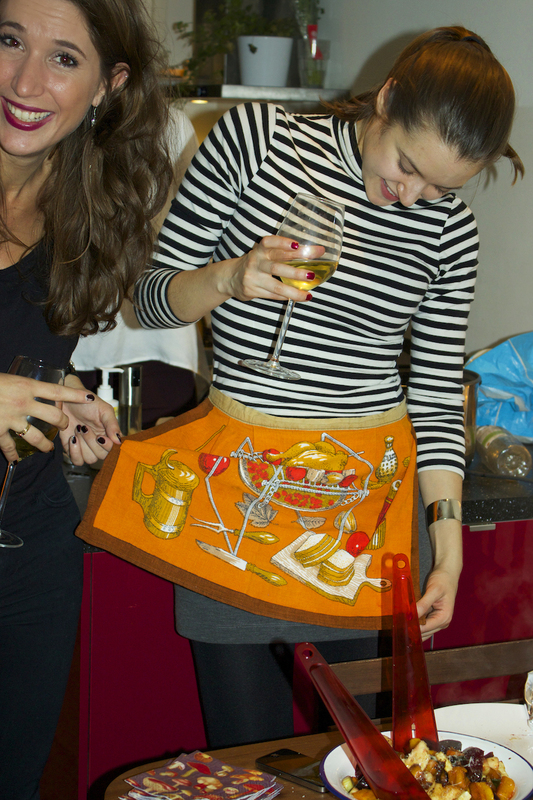 and is a pro with a camera as she has a blog of her own – you can check it out here :) Also, check out my awesome Thanksgiving apron, that I appropriately get to wear once a year!! 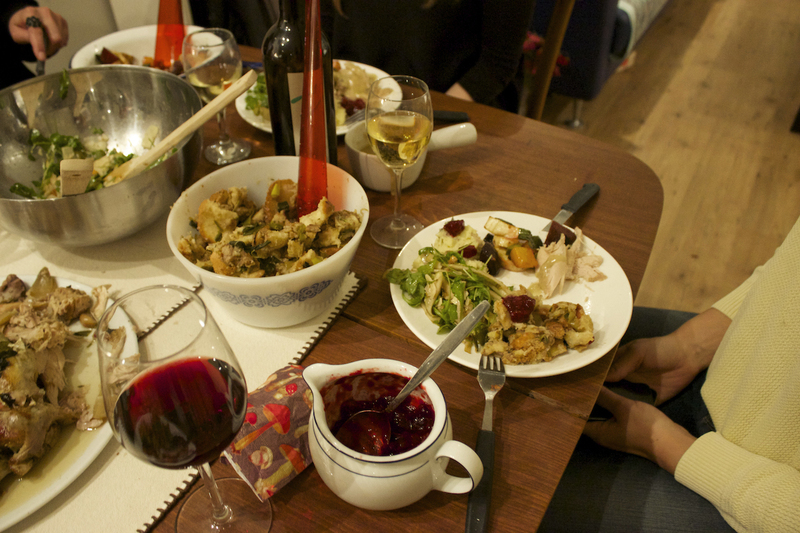 Following the most ginormous feast ever, we did two things. Both were responsible and smart. Firstly, we ate pie. Why is pie smart (especially after gorging so much you have to unbutton your pants at the dinner table)? 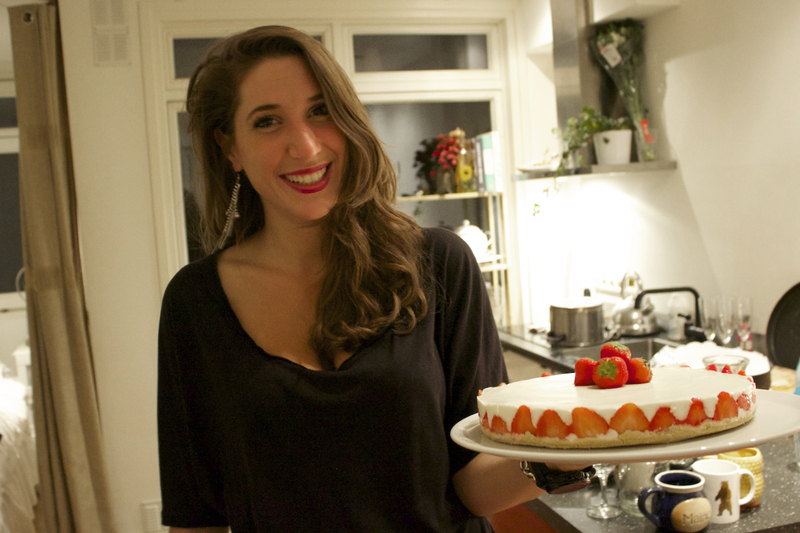 Because the beautiful Madeline made an equally stunning pie that was LOW CALORIE. Yep, light cream, light yogurt, and berries, cooled into a delicious, crispy-crusted pie. Madeline is Dutch, and this was her first Thanksgiving, and she got it. She knew that we would stuff ourselves, and therefore a light but delicious dessert option was in order. Two thumbs up for a scrumptious and thankfully light finish to the meal. 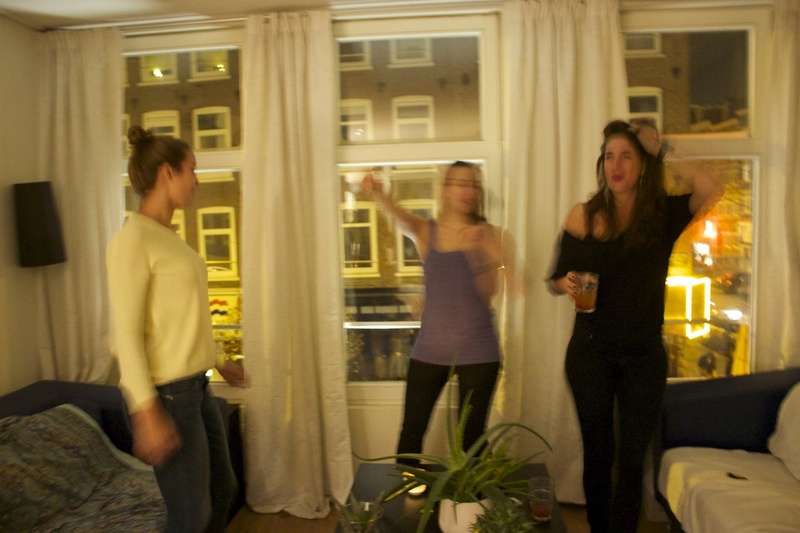 Yep, when you get a handful of girls together in a small apartment with surround sound and windows that overlook a busy bar-street, dance parties are bound to ensue. 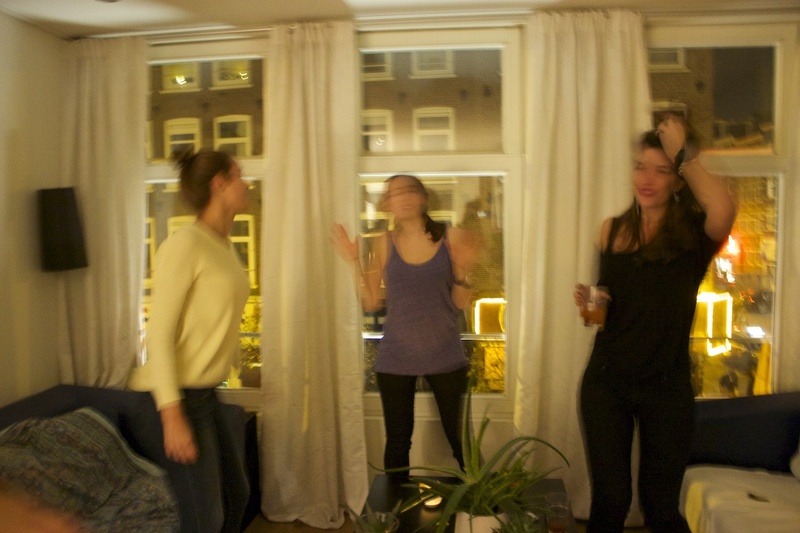 As does the inedible breaking of aloe plants (it was getting too big, anyways), double-story dance parties with randoms on the street, shots of rum, and Robyn on repeat. Thanks John – hope you had a great turkey day! 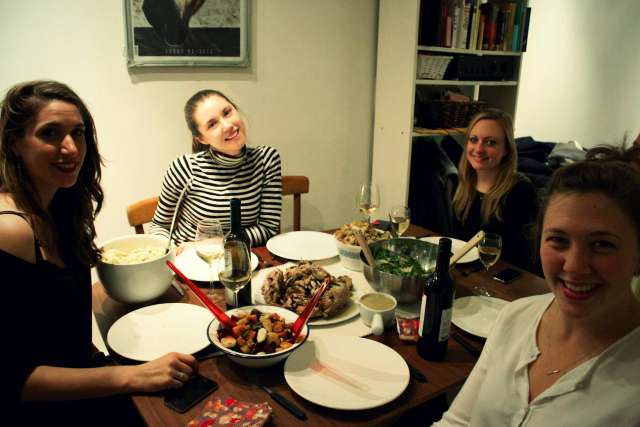 Just did the command potluck type thing, it was ok but kind of felt like work not play…play came Friday in Tokyo! :) Glad you got playtime, even if it was a day late! 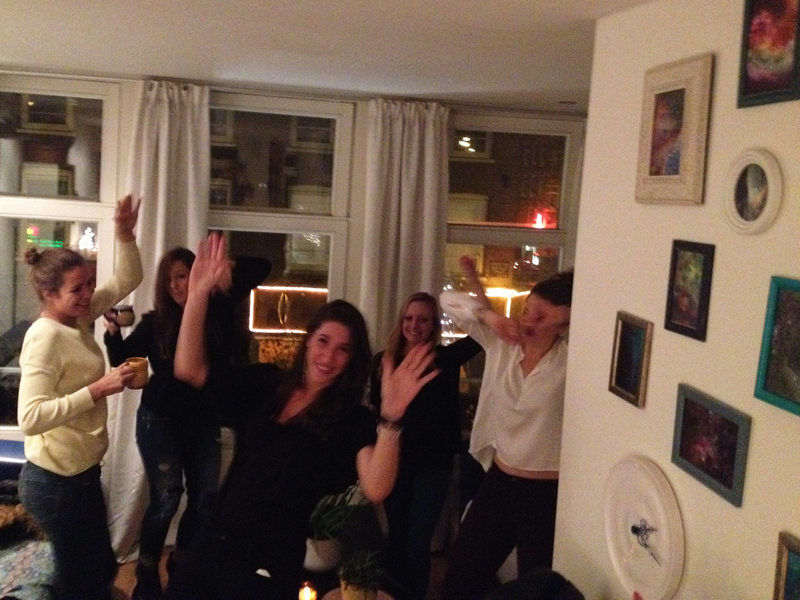 Thanksgiving dance party after dinner – may be a new tradidion! With a crowd watching down on the street. You could hire a bouncer to sell tickets to pay for the dinner fixings, Ali! :) I meant to ask Jess, did you end up making pumpkin macarons?? I saw them on your Thanksgiving menu and am feeling totally inspired to try them!